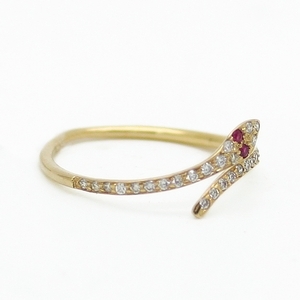 Diamond Snake Ring at Reliable Gold in Providence, RI Reliable Gold Ltd. 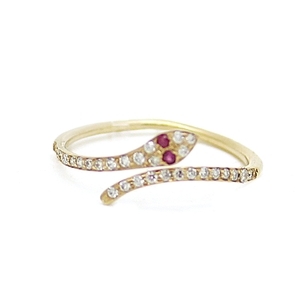 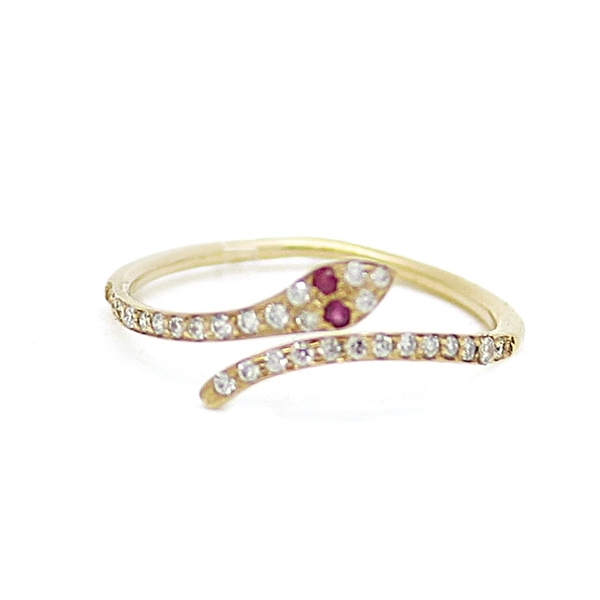 Slender snake in 14K yellow gold gently coils around the finger, dazzling with approximately .18 carats of round diamonds total weight and two ruby eyes, approximately .02 carats total weight. 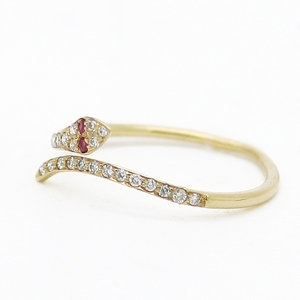 A great look!